Novation has announced the latest incarnation of its SL series, with the SL MkIII hardware controller, designed to offer deep integration with Ableton Live. Boasting MIDI and CV, this controller features an 8-track polyphonic sequencer, and is designed to be equally at home controlling computer-based DAWs as well as a wide range of hardware synths and other equipment. 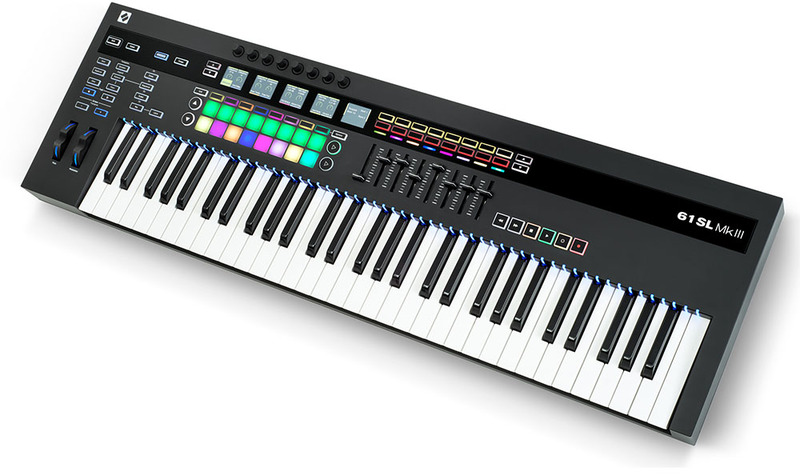 The SL MkIII features Novation’s best semi-weighted synth-style keys, with sprung action and high scan rate. Even the fastest, most complex musical expressions should be captured perfectly by the instrument. Available in 49 and 61 key configurations, other controllers include 8 continuous rotary knobs, 8 sliders, 6 dedicated transport controls, RGB backlit pitch bend and mod wheels, transposition, 2 track buttons, 59 backlit buttons with tact switches, an assignable grid of 2×16 pads, and 32 assignable buttons as two banks of 16. The onboard sequencer offers 64 sessions with 8 tracks per session, 8 patterns per track, real time recording of notes with velocity and automation, auto-quantise and automation of 6 events per step, automation of all assignable controls, and swing control. There are 16 scale types, chromatic transposition, 8 playable split zones, and configurable pattern chain. There’s also a wide range of editing which can be done on existing tracks. The SL MkIII comes with Ableton Live Lite3 and 4GB of Loopmasters sounds and samples. While it’s been designed in close collaboration with Ableton, it can be used with any HUI-compatible DAW or InControl. 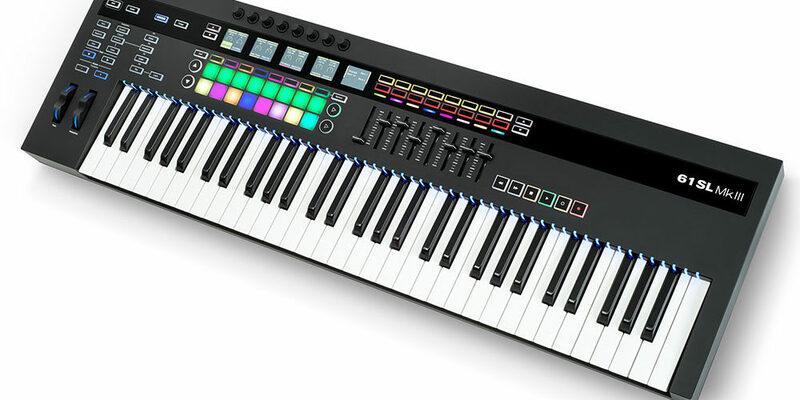 Available now at $599.99 for the 49-key version and $699.99 for the 61-key model.